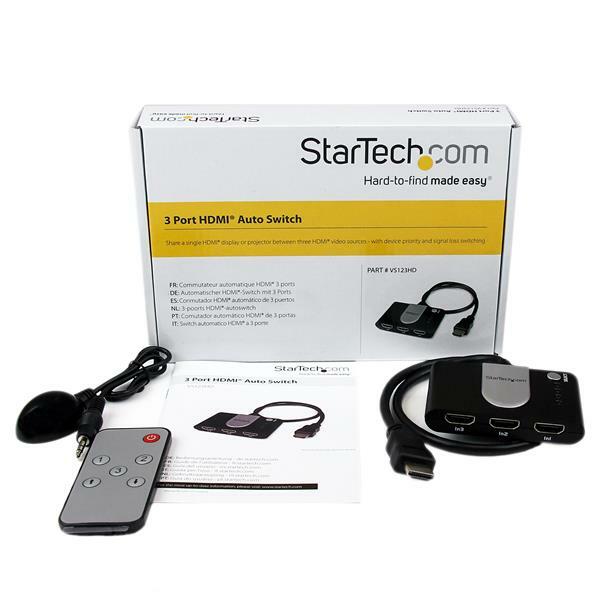 The VS123HD 3-port HDMI® Auto Switch features three prioritized HDMI input ports. 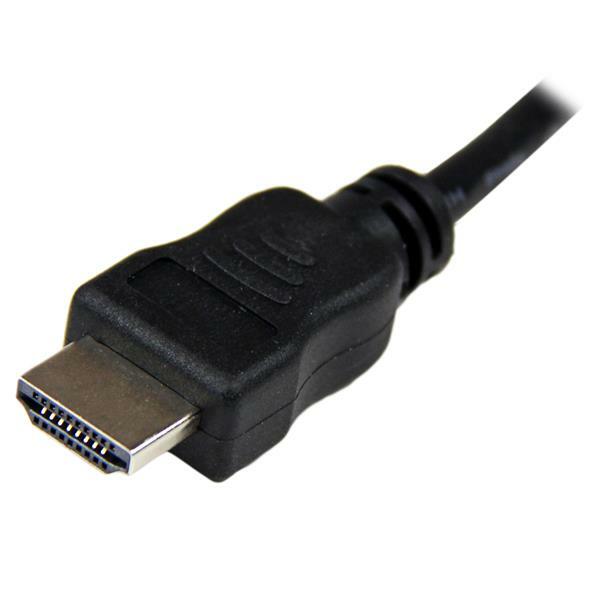 If the active HDMI source is turned off, disconnected, or otherwise lost, the switch automatically selects the next available HDMI signal as the priority output, ensuring the display is always receiving a signal. 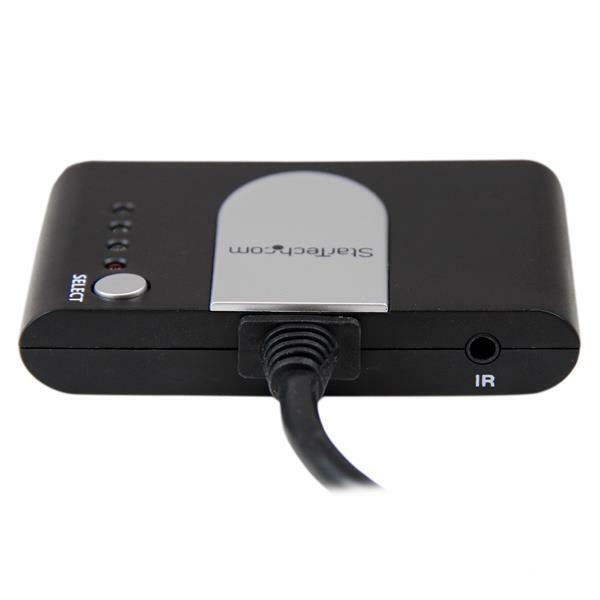 The automatic switch includes an IR Remote Control, so you’ll be able to share an HD projector or display between three HDMI audio/video sources, with the option to manually control the switch from a distance or through the easy-to-use front panel toggle button. Note Port 1 is set to have higher priority than port 2 or port 3 when all signals are on. Port 2 is set to have higher priority than port 3 when both signals are on, but Port 1 is off. LED Indicators 3 - Two Green for Display Status, and one red for power. This switch saved my life. I was trying to figure a way to add another gaming console to my HDTV but had no HDMI input ports available. It was extremely easy to 'install'. 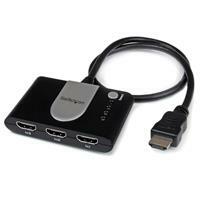 Simply plug your HDMI cables from 3 of your devices and then plug the single HDMI output into your TV and....voila! I have a slightly older model tv with only one hdmi input slot. It's. 61" Diagonal DLP HD tvN model #M61WH74S. I first bout a Iogear. 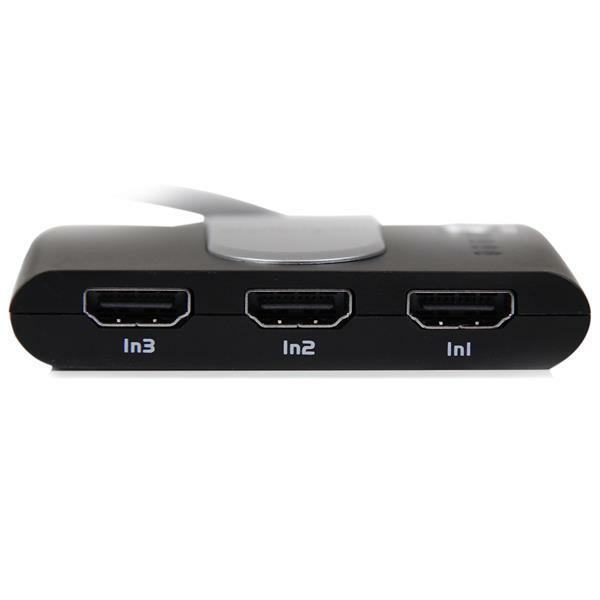 3 port. Swith box but it never worked at all. So I took it back to Staples and got a replacement. It never worked to!! They might work on other tv, but not mine. 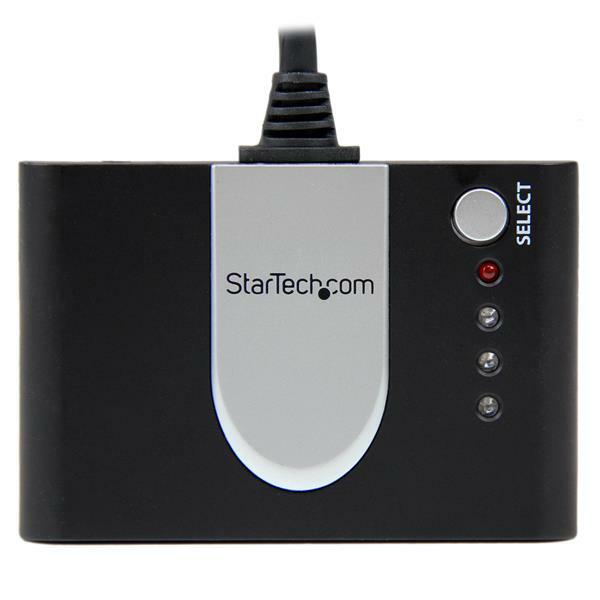 So, I saw the Star-TecMcom 3port on line and purchased . I hooked it up and it's work perfect! The remote to change each chanel works fine. The only complaint is although it comes with it's own main hdmi cabe(you don't need to buy one) but it is very short and is part of the switch and cannot be replaced with a longer cable.. But, it's workable.